We’ve made it to midweek! 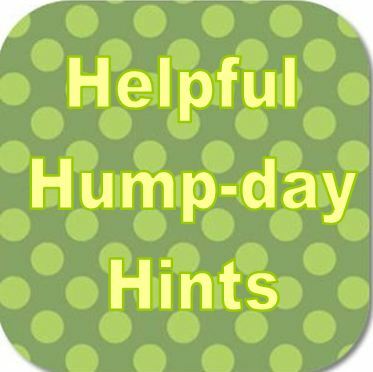 Here is my HHH (Helpful Hump-day Hint) for this Wednesday. It’s not about cleaning or organizing today. This morning I went to an event (more on that during My Friday Favorites later this week!) and it reminded me that I should write about a little tip I use when RSVPing to events. I have two last names. I use my maiden name and my married name. I do not hyphenate them. (Think Jennifer Love Hewitt.) So whenever I travel to an event or I purchase tickets for something, when I arrive at my destination many times I am faced with A – L go to this line and M – Z go to this line. Great… of course my two names are in the two different lines. So after many, many times that I just guessed and joined one line only to find out I have waited in the wrong one, and alas my tickets were filed under my other name; I had an idea. When I RSVP, after I give my name, I politely ask how I am alphabetized. In my calendar or meeting request if it is work related – I write F or M in addition to the address, directions, and other important info. This is not fool – proof, but it has worked more than it hasn’t worked! And it has saved me some embarrassing moments when I am asked my name and for a moment I look like I don’t know it. So there is my hint for today. Happy Hump-day!